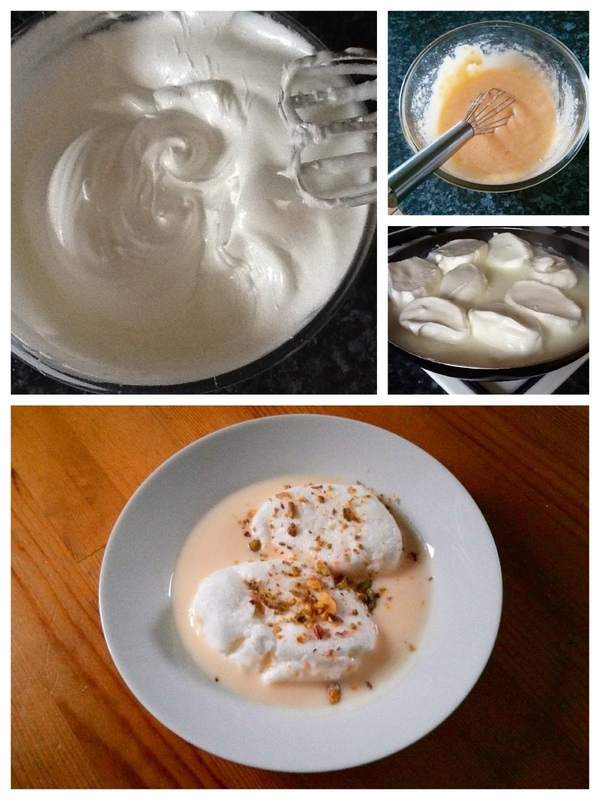 A few weeks ago Michel Roux Jr made îles flottantes on his BBC show, ‘Food & Drink’. It looked so easy and so impressive that I decided to make it when the next opportunity arose. Mother’s day in the UK always catches me on the hop because in the States it’s in May, not March. My husband is not always totally on the ball when it comes to holidays and generally relies on me for cards, presents, etc – even when the holiday is to celebrate his mother. Needing to come up with a sufficiently special, yet economical, menu, I immediately remembered îles flottantes and decided to build my menu around this French classic. As we had a ham in the freezer, I decided I would make that for the main course even though I couldn’t find any evidence that the French had ever, in all their history, made a baked ham. They must import them already baked for croque monsieurs. Seeking some advice, I called upon fellow food blogger, Darya, whose food blog, Tortore, is well worth a look and a follow! She and her boyfriend very kindly helped me come up with ideas to keep to my French(ish) theme. 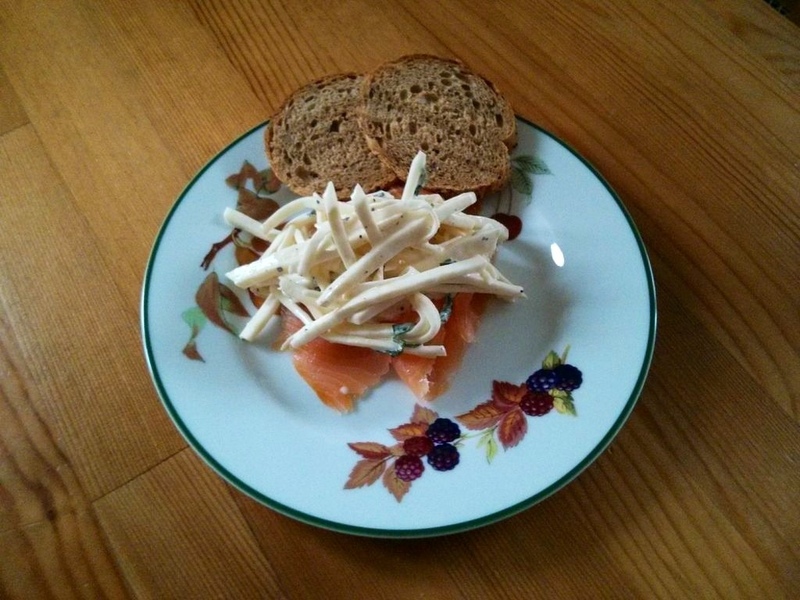 I knew I wanted to incorporate celeriac remoulade because it is something I love and had never made at home. Initially, I thought I would make it alongside some fishcakes as, along with the ham, my freezer held some frozen fish which I could call on at a moment’s notice. However, a quick trip to the supermarket found me in possession of a large pack of Scottish smoked salmon for 1/3 of the original price – a true bargain which could not be missed no matter how light the coffers were feeling. Knowing the mother-in-law’s love of smoked salmon, and realizing that it was a more traditional accompaniment to celeriac remoulade, the fishcakes were out the window. 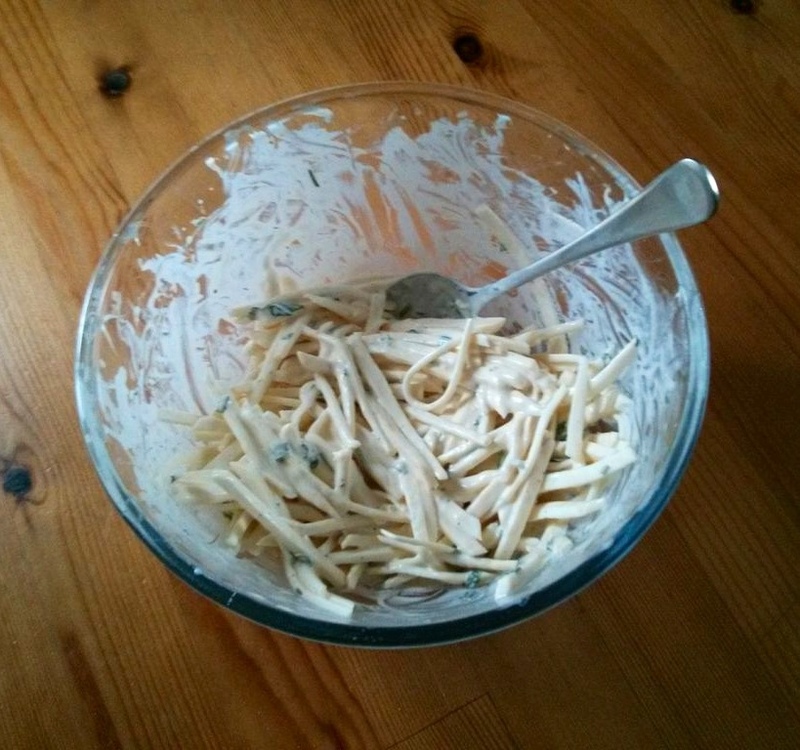 Most recipes for celeriac remoulade are pretty similar: matchsticks of celeriac (celery root) tossed with lemon juice, mayonnaise, crème fraîche or heavy cream to loosen, plenty of parsley, salt and pepper. Some people toss in matchsticks of apple or pear which I think would be really lovely and I will definitely try that next time. I wanted to make a potato dish, but not dauphinois as I’ve made that on a few occasions for the mother-in-law and I was thinking of making creamed spinach as well which would have been cream overload. Darya’s boyfriend pointed me towards potato rosti, which apparently is more Alsatian in origin but would do fine for my not-so-strict purposes. 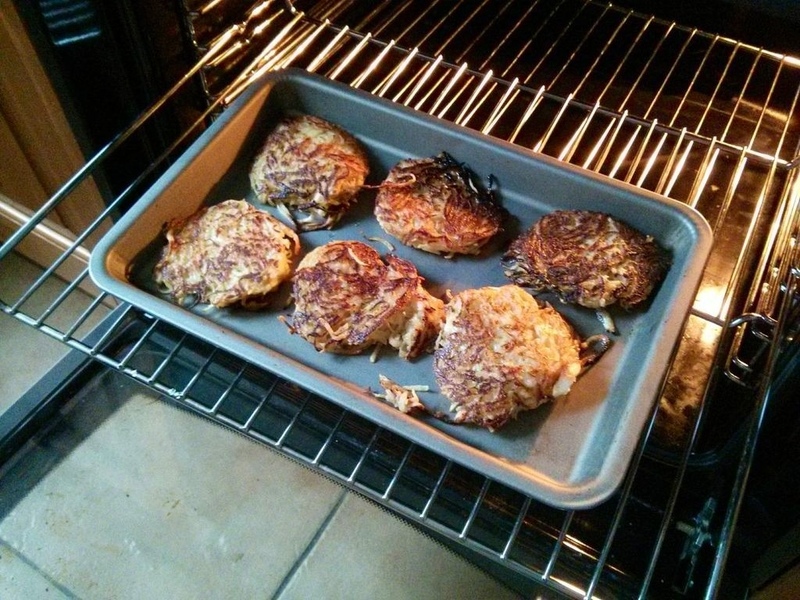 I found a James Martin recipe for potato and apple rosti which sounded really good, so I did that and they came out brilliantly. It probably would have been better to cook them the day before and just reheat, but we had a very busy weekend and I found myself doing them after we’d finished our starters. In my attempt to entertain while cooking, I burned the first batch – don’t worry, they were resurrected the next day in a leftover ham, poached egg and hash brown dinner which was delish! The second batch came out brilliantly and were much moister than I expected which was good as I am against serving gravy of any kind with ham. 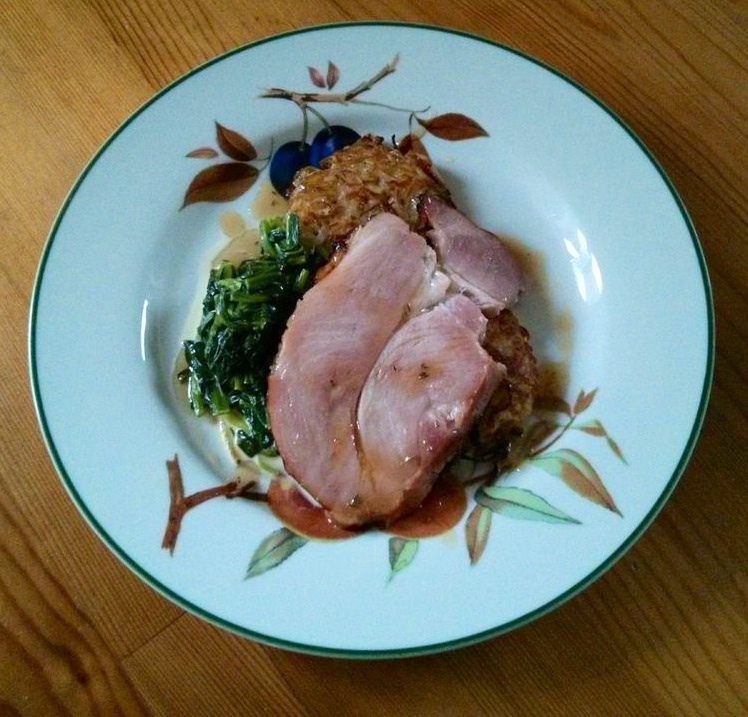 In my opinion, ham should be moist enough that you don’t need sauce, the glaze and the juiciness of the meat itself should be enough – especially with creamy spinach on the side! Speaking of meat, I love ham. They used to be only for Easter, but here in the UK you get these small joints of gammon which are perfect for 2-6 people depending on the size of the joint. I usually make a brown sugar, Dijon mustard and honey glaze – if you haven’t had it, you have to try it – but I wanted something a bit more French for this menu so I went with thyme and honey from a recipe in my all-time favorite food magazine, Gourmet, found via epicurious. For such a small joint, the cooking time is minimal. You simply pour liquid of some kind over the ham and into the roasting tin, about a cup. You can use apple juice, orange juice, water, chicken stock, wine, whatever! I used a mixture of water and orange juice because it’s what I had. I mixed the orange juice with water because I didn’t want it to burn in the bottom of the pan, but I don’t know if that’s necessary. Cover it with parchment paper, then foil and bake at 375°F (180°C) for 30 minutes. Take the foil and parchment off, cut any skin off and score the fat however you like. Rub over whatever glaze you’re using and bake for another 20-25 minutes until brown and caramelized. 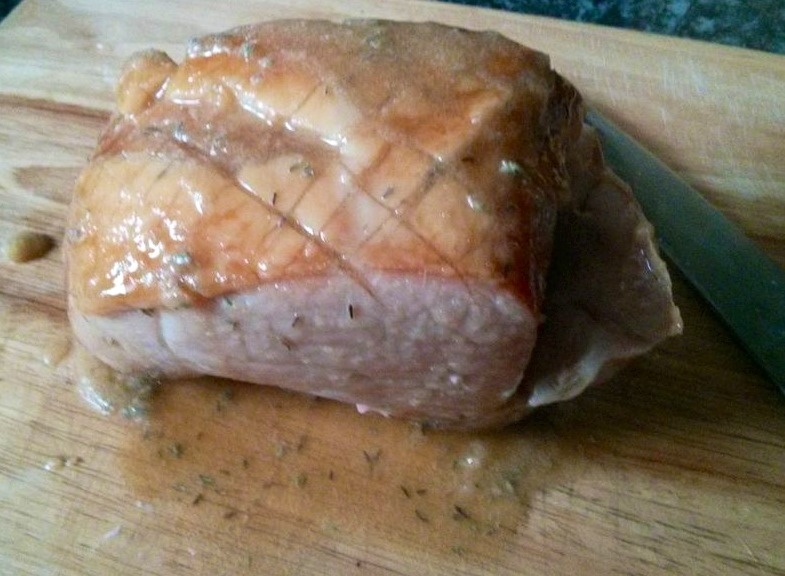 The glaze was honey, butter, thyme, and a dash of Worcestershire sauce melted together. I made the same amount of glaze as called for in the recipe, which is for a much bigger ham, because I figured it would taste good on other things as well! Ironically, the basis of the entire menu, the îles flottantes, was the most disappointing aspect. As far as I can tell, it wasn’t through any mistake of my own or any incorrect cooking. The meringues were sweet, beautifully light clouds of egg white which floated delicately on the crème Anglaise. Unfortunately, they tasted of egg. Had I used eggs from the supermarket, I might’ve blamed them as not being high enough quality to make this dessert which obviously requires the utmost from its minimal ingredients. But the eggs had been laid and collected only days before on a farm only miles from our house, they couldn’t have been much fresher. Despite this, the meringues tasted distinctly like an egg white omelette, which is not what you want when you’re expecting dessert. It may be that none of us like poached meringues, and now I know that, but what a way to discover it! It certainly will make me think twice about trying a new recipe out at a dinner party in the future. The other disappointment was the overpowering, mouth paralyzing sweetness. There was, without doubt, far too much sugar in the entire dessert; too much in the custard, too much in the meringues – and to think I was supposed to cover it all in caramel too! Crème Anglaise does not need to be sweetened to the point that you get a sugar rush from a single mouthful. Vanilla is naturally sweet, milk has a natural sweetness, it’s more important to let those ingredients sing rather than drowning everything in glucose! 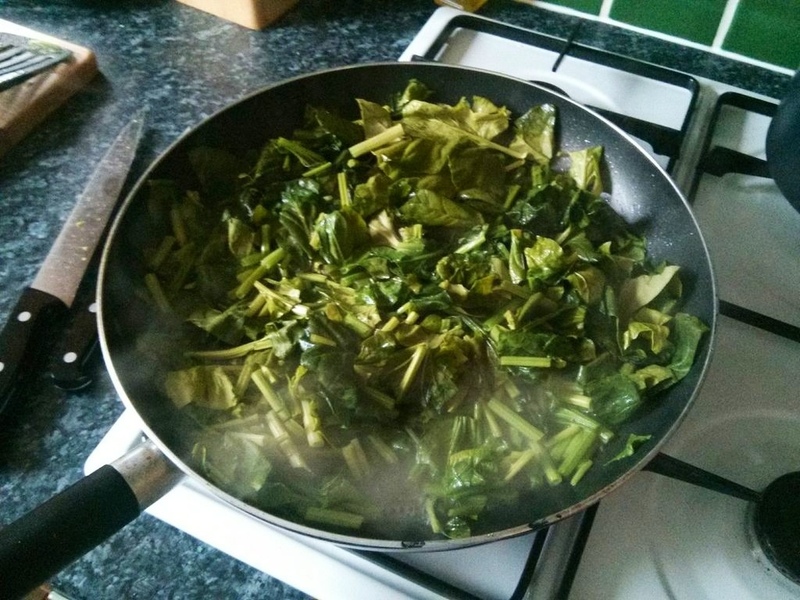 I was really disappointed with following a Michel Roux Jr recipe to the letter and ending up with a result like that. Quite frankly, the man should know better. The result? Everyone slurped up the crème Anglaise despite it’s sweetness, but the majority of the meringues became compost. All in all a successful French(ish) lunch, but better make a dentist appointment soon and check for any cavities! What a nice meal! I am sorry the Îles flottantes weren’t such a great success, but I am so happy the rest of the meal turned out well (I love the idea of rösti for breakfast… yummy)! You were right to serve the céleri rémoulade with smoked salmon, it looks so elegant, and I am sure the two tasted great together! It was! Thank you so much for your help, it was a great meal all in all. Too bad about the îles flottantes. I have to say I’ve never much cared for that dessert either. But what a lovely meal! Thanks! It was very nice despite the dessert debacle.